Douglas Park Organics Premium Organic Orange Juice is 100% pure, fresh orange juice. Filled with 100% certified organic orange juice straight from the zesty orange. 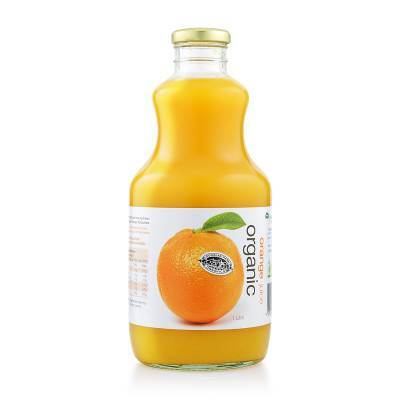 The texture is lightly pulped juice, to ensure a fresh, lively and natural tasting juice with only the zestiest oranges. Most enjoyed and most delicious when chilled. The secret to this juice is all in selecting the finest oranges to be juiced, and then gently filling into glass. Glass is still the best package medium to hold all the nutrients and goodness of the juice until you are ready to drink.